The dependences of the magnetic absorption by spheroidal metal nanoparticles on the ratio between the particle curvature radii and the angle between the spheroid symmetry axis and the magnetic field vector of an incident electromagnetic wave are plotted and theoretically analyzed. An interesting result of the research is the growth of the energy absorbed by a spheroidal nanoparticle, as it becomes more oblate. C.F. Boren, D.R. Huffman. Absorption and Scattering of Light by Small Particles (Wiley, 1983). H. C. van de Hulst. Light Scattering by Small Particles (Wiley, 1957). V.V. Klimov. 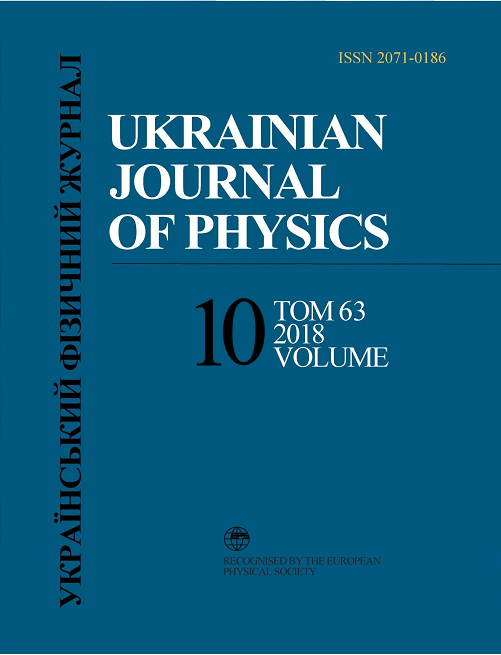 Nanoplasmonics (Nauka, 2012) (in Russian). L.D. Landau, E.M. Lifshitz. Electrodynamics of Continuous Media (Pergamon Press, 1984). P.M. Tomchuk, B.P. Tomchuk. Optical absorption by small metal particles. Zh. ` Eksp. Teor. Fiz. 112, 661 (1997) (in Russian). M.I. Grigorchuk, P.M. Tomchuk. Absorption and radiation emission by small ellipsoidal metal particles. J. Phys. Stud. 9, 135 (2005) (in Ukrainian). I.A. Kuznetsova, M.E. Lebedev, A.A. Yushkanov. Influence of kinetic boundary conditions on the scattering cross-section of electromagnetic radiation at small metal particle. Zh. Tekhn. Fiz. 85, No. 9, 1 (2015) (in Russian).